It seems like not to long ago the first gaming chairs came out, I was so disinterested in them. Why would you charge so much for a chair, it can’t be that comfortable,… can it? Last year I came to find I was so wrong and these things are incredibly comfortable, so much more than almost all of their chairs you can find in your local office supplies store. 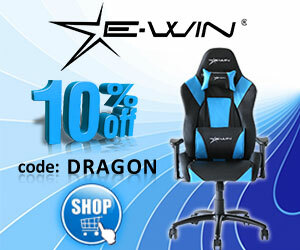 With that, I introduce you to my review of the E-Win Hero Series HR-BC3D Computer Gaming Chair.